Nice level 2.5 acre Development parcel in West Clayton NCP. Close to current development. No creeks & 2 road frontages. On quiet street in prestigious Clayton Hills. New school is being built a few properties to the east. Older 3 bedroom home with detached garage set at the front of the property. 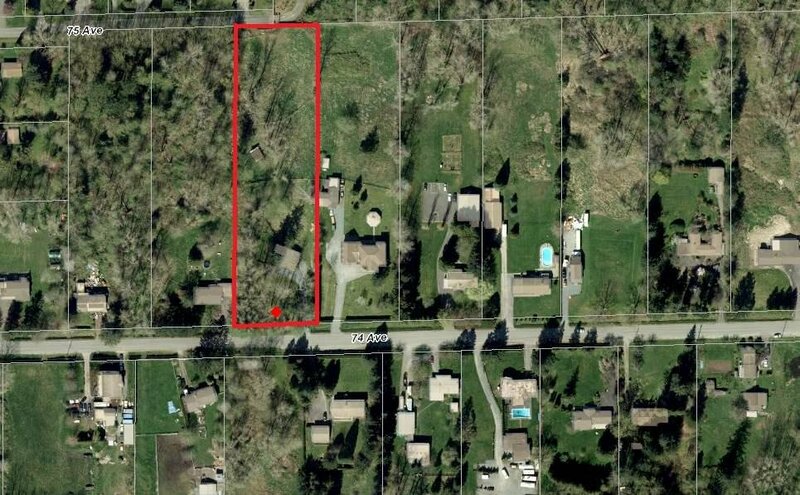 Wait for development or potential to subdivide & build 2nd home at the rear of the property with mountain view on a no thru street of quality homes. On city water. Beautiful property - great location - close to everything. Fantastic investment. If buying this property it must be purchased with the neighbouring 2.5 acres - 18645 74 Ave MLS#R2265245 for a total of 5 acres.